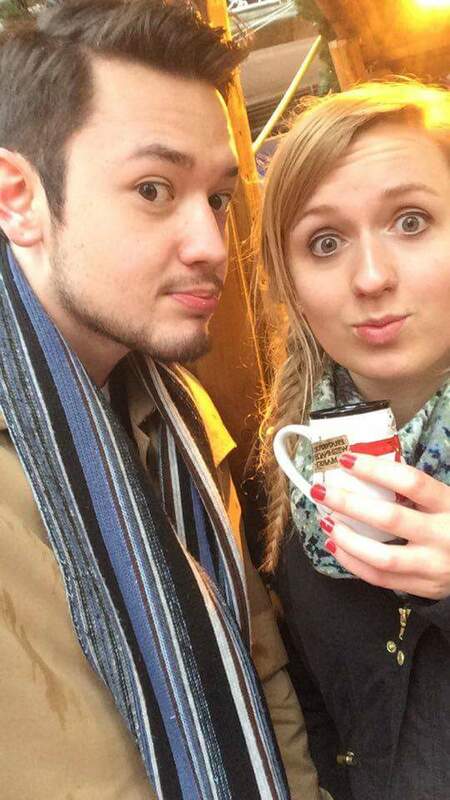 Last weekend my boyfriend and I decided to take a trip to the Birmingham Christmas Markets. After spending a lot of the Christmas season last year in Germany, I managed to visit quite a few of the markets, including Frankfurt, Strasbourg and of course, Heidelberg. Living in Heidelberg did mean that I started to get a little sick of the Christmas hype, mainly because the city was so full of tourists visiting the markets, causing a ridiculous amount of congestion on the main streets. But aside from the odd Scrooge moment, I loved popping down for some Glühwein after a long day at the lab and even hit up the ice rink a few times (without falling over, thankfully). Last month I started to see my friends from Germany posting pictures of the markets on social media and it made me a little (a lot) gutted that I wasn’t back there with my wonderful ERASMUS pals. So came the next best thing; England’s version of the Christmas Markets. I must admit I was extremely sceptical about visiting any of the markets in England, as I thought they would be poor knockoff versions, missing the cute German atmosphere that I loved so much. Birmingham’s market is based on Frankfurt’s and I must say it was a job well done! I had a plate of my beloved Currywurst and Harry sampled the Bratwurst and enjoyed a Weizenbier. There was even a live band playing Christmas songs, getting the crowd singing and dancing along; it reminded me of the rowdy scenes at Oktoberfest. No trip to Birmingham would be complete without visiting the Bullring, but with Christmas drawing ever closer it was chaos and we had to abandon the idea of doing some Christmas shopping ourselves. This trip is another example of how great the location of Leicester is; the train took 50 minutes and with a Railcard it cost me less than £10 for a return ticket. I will definitely be going back for a shopping trip at some point in the New Year! I am now at the point where I badly want to spontaneously book a weekend away in Europe but I am hoping that little day trips to nearby cities will curb this craving for now. Term has now ended and I’m looking forward to spending Christmas with my family. This year I don’t have January exams so it will be nice to be at home for Christmas, without spending my days revising. I have a lot to do in the form of essays and applications but I am doing well at staying on top of things so far, so my Christmas will not be as stressful as recent years (I hope! ).